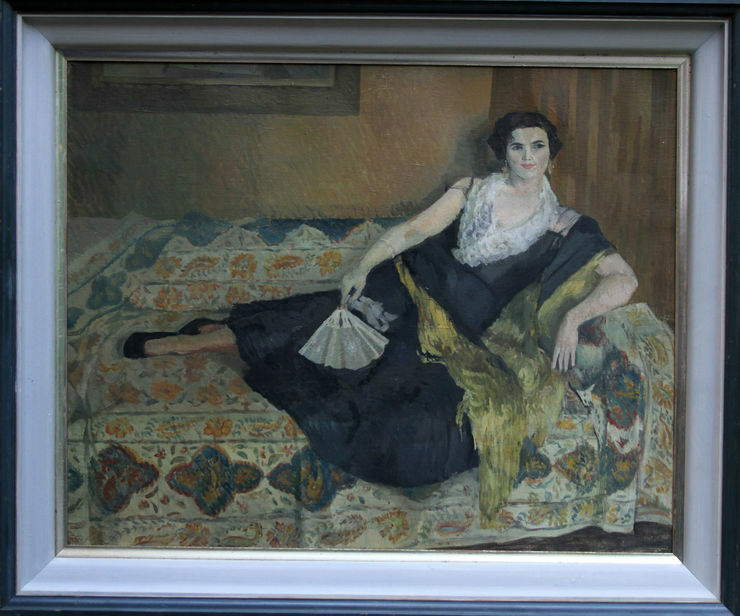 This large oil on canvas was painted by Caroline Hutchinson circa 1955. 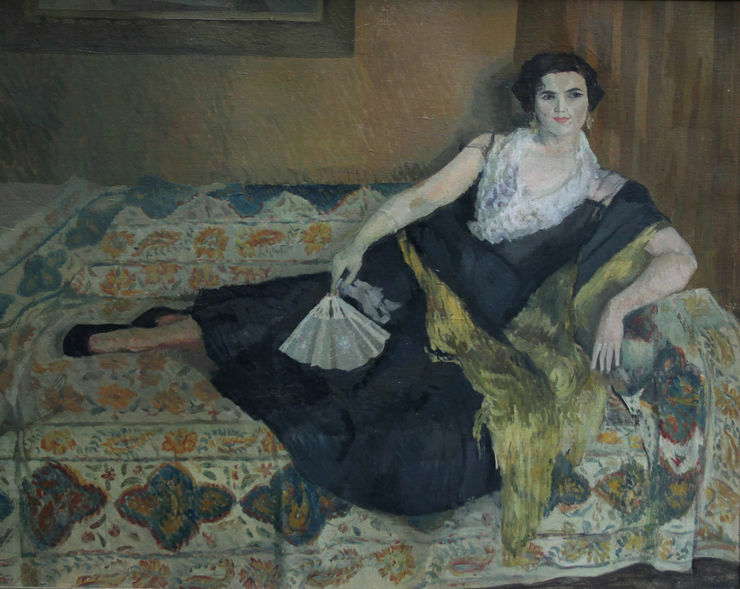 It depicts a lady reclining on a sofa and is painted in an Impressionist palette and manner.A beautiful Art Deco portrait of a young woman. Framed in a gallery frame. 37 inches by 33 inches.